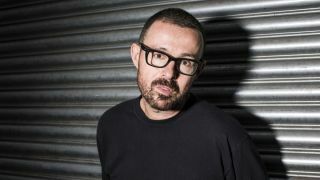 "Dance music is more than just something to listen to - it's a passionate culture that brings people together"
Judge Jules: "DJ platforms are being developed with convenience and flexibility in mind." Needing little introduction in the music world, Judge Jules has certainly been there, done that, and done it all again. About to embark on his record-breaking 16th year at Eden, Ibiza, Jules is setting sail aboard the Judgement ship once again with one of the most exciting line-ups in the brand's history. It'll be taking place every Friday from 24 June to 23 September. Since the residency kicked off back in 2000, there have been countless changes in technology, production, promotion and more. The Judge has witnessed these developments - in the music industry and across dance culture - first hand, so we caught up with him to discuss the changes he's noticed during a career spent in the DJ booth, and get his take on the state of DJing in 2016. "The emergence of Pioneer's CDJ-500 back in 1995 was a glimpse of what to expect in the future. Like most things, DJ equipment has advanced significantly thanks to new technology; gone are the days of lugging a flight case of heavy vinyl across the world - everything has been transferred into a digital format, and we use servers and wireless features to engage with both mixing and production. "Although vinyl is enjoying a level of resurgent success at the moment, laptops are now taken increasingly seriously as DJing or performance tools. I think, as a whole, DJ platforms are being developed with convenience and flexibility in mind, taking a lot of the leg work out of learning the technical aspects and opening the scene up to vast numbers of eager DJs." Gone are the days of lugging a flight case of heavy vinyl across the world - everything has been transferred into a digital format. "There's no denying that dance music has gone mainstream. Over the course of the three decades I've been involved in the scene, it's expanded from being the niche passion of an underground minority. "It's amazing to now see new generations of people getting involved with dance music - when I play shows I can see some recognisable faces but also teenagers who have only just heard my music. Whilst the scene may have exploded to become the new 'pop cuture', I think the factor that has always remained the same is that dance music is more than just something to listen to. It's a passionate culture that brings people together." "Production levels for DJ [stage] sets have changed in every way imaginable, to the point that DJs are the now playing on sets that would have been reserved for rock stars in the past. "The importance of good-quality visuals has increased dramatically in recent years - going to see a live musician, band or DJ used to be all about the music, but now it seems that this is only 50% of the show. The use of huge visual screens, pyrotechnics, lasers, lighting and special effects like CO2 machines add a whole new dimension to any live performance, especially when it comes to dance music. There really isn't a limit to production values, and people are certainly investing more in this area to make their stages and concerts stand out from the rest." "I think it's safe to say that this has changed completely. It's hard to imagine a world without social media nowadays. Everything used to rely on print media, radio or word of mouth, but now you can have the whole world just a few clicks away. "Sites like Facebook and Twitter, plus dedicated music sites, have created a global village that enables us to connect, engage and interact with people all over the world. Sharing music and events news has never been easier. Going to see a live musician, band or DJ used to be all about the music, but now it seems that this is only 50% of the show. "However, as the reliance on online promotion has increased, we have started to see more promoters getting creative with their use of 'old school' promotion methods to stand out once again, thus taking things full circle." "This industry is now people's livelihoods. From promoters, to management, to the artists themselves. It's a lot more than a gentleman's agreement or a handshake like it often was back in the day. "The amount of money involved now means that there are legalities, contracts and so much more at stake - understandable as dance events are now some of the biggest in the world. So much time and money can go into booking even one small show, never mind a festival for 100,000 people, that it's important that everything is processed correctly. "What started out for many as a hobby is now a cut-throat business; it's changed a lot over the years and the competitiveness has bred creativeness and flushed out those who don't know what they're doing, or are in it for the wrong reasons."